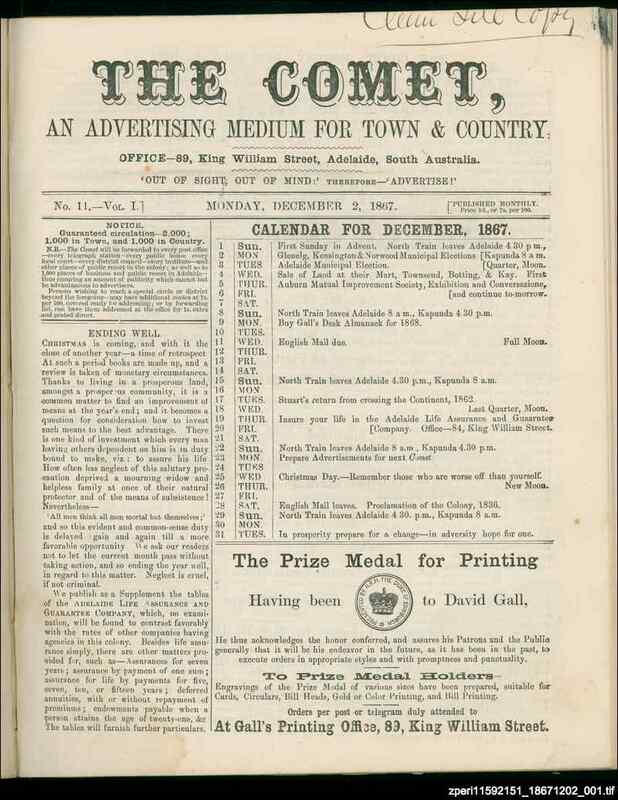 David Gall, an early Adelaide printer, published the Comet largely as an advertising medium. He was concerned about the lack of employment for young men in Adelaide, and used the journal to promote his views on protectionism. Contemporaries referred to the Comet as a comic paper (Yorke's Peninsula Advertiser, 29 January 1878, p. 3), however only one presumed comic insert has survived.